Two time Lido 14 Class Champion Nick Scandone wins gold medal at Paralympic Games. 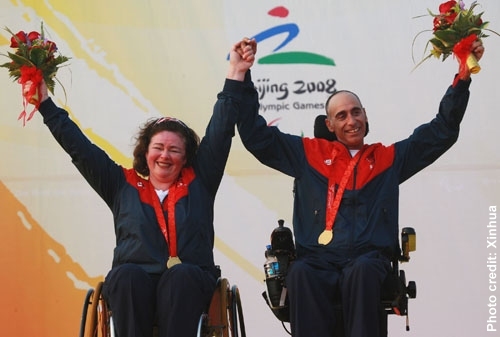 Nick Scandone (Fountain Valley, CA), winner of the 1998 and 2000 Lido 14 Class Championships, and Maureen McKinnon-Tucker (Marblehead, MA) sailed to a gold medal victory in the SKUD-18 division at the Paralympic Games in China. Nick and Maureen sailed a superb series of races - winning with two races still remaining in the series.